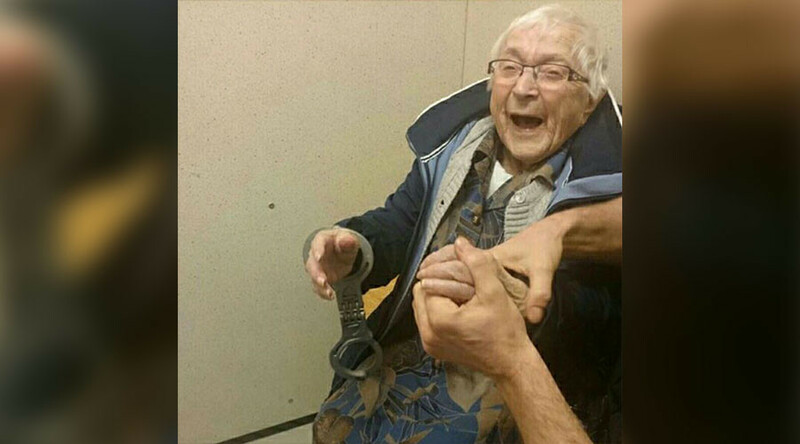 An elderly woman from the Netherlands had an unusual bucket list wish, and so, at the glorious age of 99, she was handcuffed and locked up in a police station cell. The woman, known as Annie, was detained and taken to the police station in the town of Nijmegen, where she was handcuffed and allowed to sit in a cell. The officers received a request from Annie’s niece to help her tick this unusual wish off her bucket list, and they were happy to oblige. Although it’s not a common practice to lock innocent citizens up, they made an exception for Annie. Pictures posted on the police station’s Facebook page show Annie beaming happily and proudly showing off the handcuffs. What “a day to remember,” the officers said.